Last week, Geeks in Cambodia went to check out the Saha’ka co-working space. 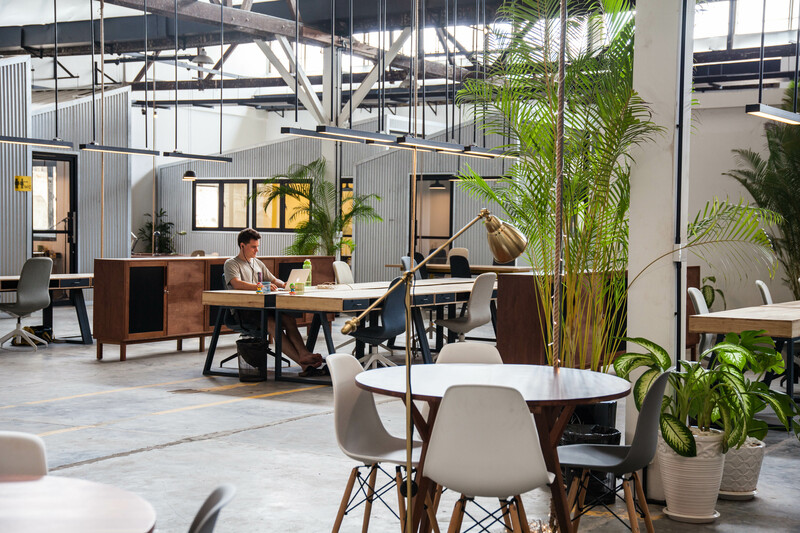 This week, we went to visit the most ambitious co-working space in town, FACTORY Phnom Penh. 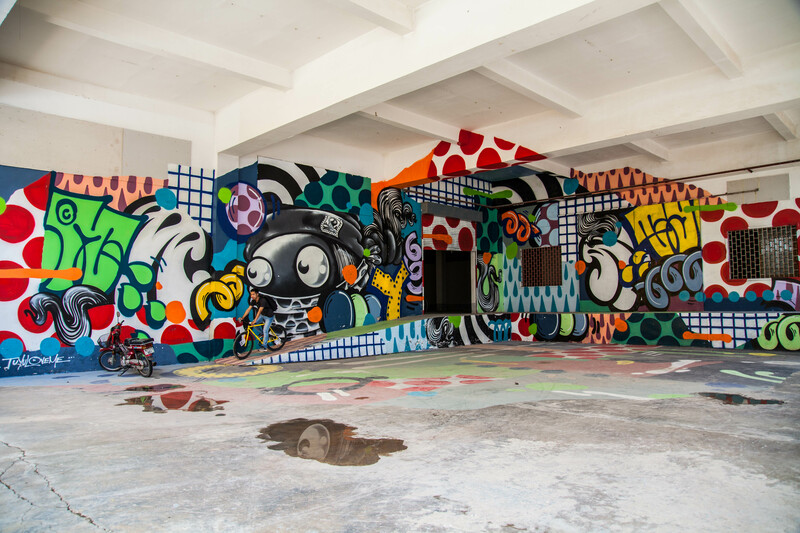 The once abandoned garment factory to the south of the city, has now been transformed into a creative oasis featuring co-working spaces, offices, production and recreational spaces, a skate park, and lots of street art. The the 3.4-hectare FACTORY is approximately a kilometre south of the Monivong Bridge along National Road 2. After touring the vibrant space, we had the opportunity to interview Amara Sao, FACTORY’s Programme Manager. What was the key business idea behind FACTORY Phnom Penh? The main idea was to create a creative space that has everything; a one-stop shop for people who understand the work-life-play balance. We wanted to start a ‘village’ as I like to call it, having a cafe roastery, food cart alleys, trampoline park, basically fun things to do to keep people happy, fresh and productive. We want to make this a community, a second home for people to come to. We are also pushing the aspect of community, collaboration and creativity. With the amount of available space we have, we want to be able to support people’s dedication to an idea that they want to make come true. Most importantly, this space was built to inspire a sense of exploration and curiosity in people. 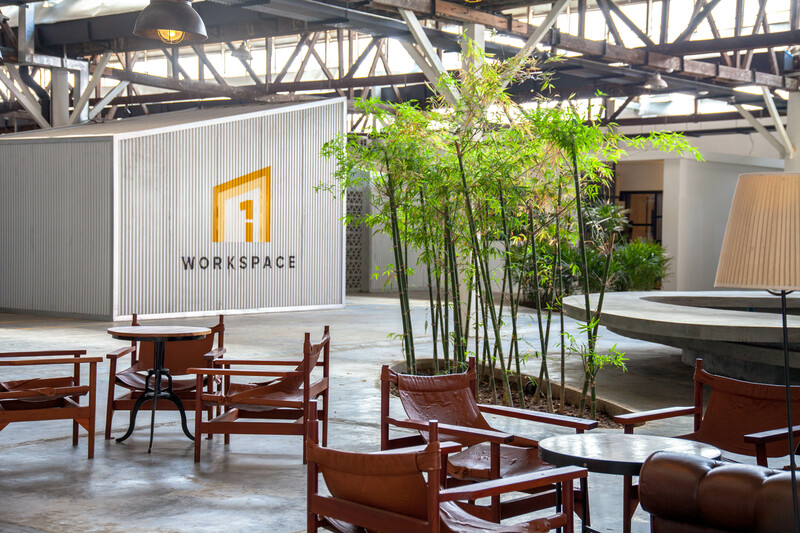 Why did you choose to have a co-working space business here in Phnom Penh? The initial plan was to convert the space into a technology hub. However, after Factory director Corbett Hix visited the site, he felt that with the massive space available, it could be converted into something more. We also saw the demand for co-working spaces in Phnom Penh. If you walk into a coffee shop, you will see co-working at its highest, therefore, this was how this space has evolved to become what it is now, a co-working space, production spaces and with the existing walls as canvases for street art. What are some of the plans that you have for FACTORY? We have an ongoing effort to expand the amenities in Workspace 1 for our members to enjoy, such as an inspirational library, games room and also the relaxation room. In addition to that, we hope to be able to open an art gallery and open up our flexible event space at the back of our FACTORY building. We are getting more demands for event space, which is something that we did not really plan initially. We have a lot of space and we know that people visiting here have a lot of ideas so we are open to listening to them, discussing and doing partnerships. In the long run, we hope that the FACTORY will also be able to run itself 24/7. This is so that our members who work remotely can be here till late and at the same time, be able to take care of the business. 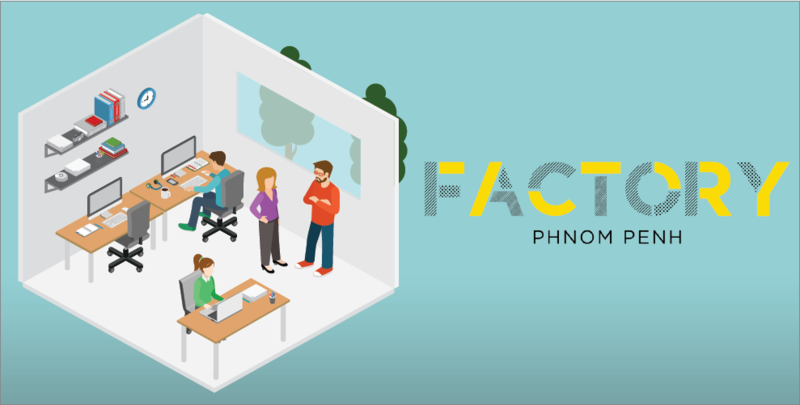 What makes your co-working space different from the other co-working spaces in Phnom Penh? The shear size and space that we have available! Recently, we hosted an event here, the Hidden Walls launch. It was a great for street art, performances, live music, hiphop and street art culture in Cambodia. It helps to draw the key figures in the community together to not just share our project but to also plan the future to support and incubate the next generation of artists, musicians, makers, entrepreneurs, people with an idea, who are dedicated into making that reality. Most importantly, we are working towards a “cross-pollination” where we help to create opportunities for collaborations across the campus as a whole and within Workspace 1 itself. We prioritise work with our residents first. Through our weekly social sessions, we hope that our members will be able to leverage the opportunities to get to know each other better and at the same time, we would be able to keep progress of their work and support them whenever they require. The various spaces are all relevant in the market, intending to serve a different purpose. An example would be Impact Hub focusing more towards startups. For us, we engage with the art community quite actively. The space and design speaks to individuals differently. Some people might prefer a smaller space or be closer to home like Impact Hub and Emerald Hub. But here, having different aspects on one large campus distinguishes us. The potential for ideas and what can be rolled out here is the key feature that sets us apart and keeps us relevant. What are some challenges that you have faced from the beginning till now? One challenge that we faced in the beginning is to get people to come down to visit the Factory. Generally in Cambodia, when people hear about this area, they get put off and do not want to come because it is perceived as really far. But after months of marketing through social media and word-of-mouth marketing, we have seen the increase in visitation here. With so many ongoing activities happening all at once, we also foresee some issues that may arise potentially in the future. But we strongly believe that communication is key. We always keep our channels of communication open, having twice monthly meetups and our residence group on Facebook to get updates from our residents. Where do you see the FACTORY in 5 years time? As you might already know, we have a five-year lease on the project. These 5 years are crucial for us as it will determine whether the FACTORY will cease to exist afterwards. Hopefully the business will flourish and it will be kept. But as for the plans after these 5 years, it’s difficult to say at this early stage. I personally hope that FACTORY will be operating at 100% capacity and potential, that it serves a wider community outside the Factory walls, regardless of the length of the project lease. 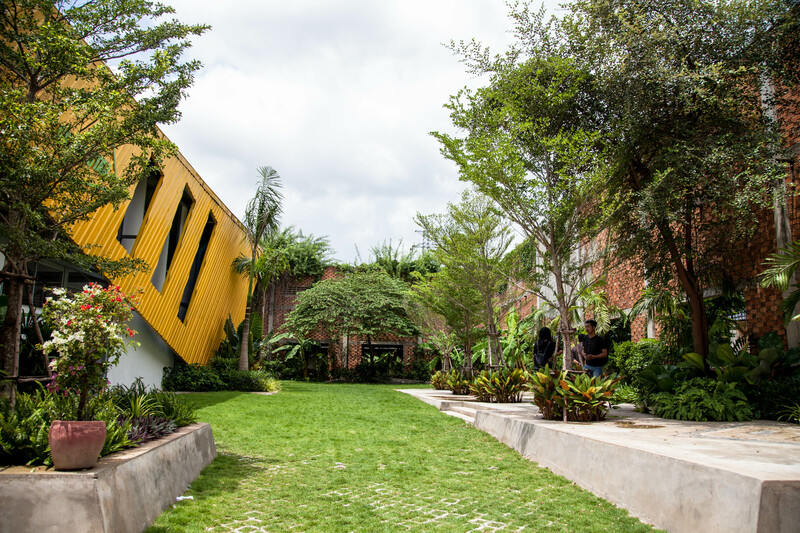 The open spaces for collaboration, the wide variety of food and entertainment options as well as the colourful street art found in every alleyway at FACTORY definitely supports its goals – to support the country’s young entrepreneurs in developing their next great business ideas while helping innovators push the boundaries of art and design. If you are interested to visit FACTORY, you can sign up for their tours on their Facebook page here, or visit their website here.